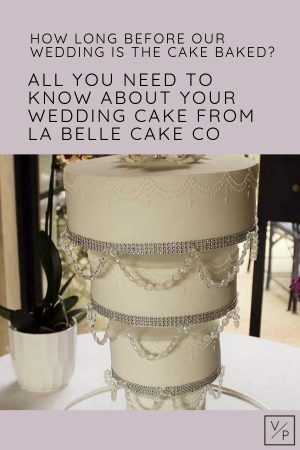 We’ve met Shelly from La Belle Wedding Cake Company many times now and are always impressed by her beautiful cakes. 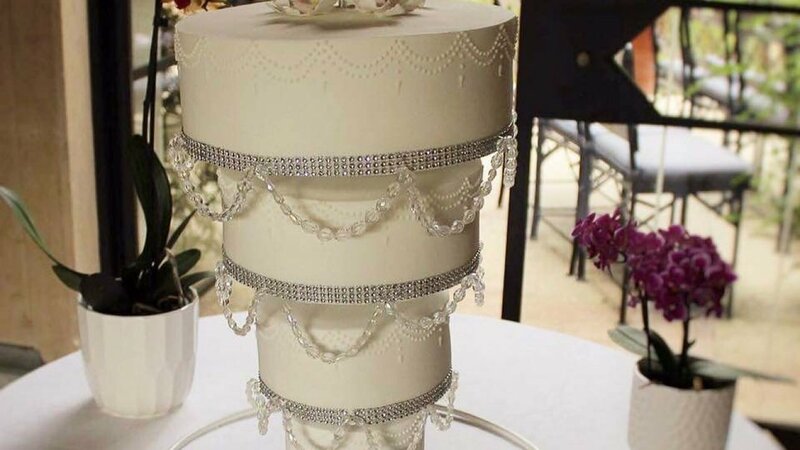 When it comes to cakes our efforts extend to a Victoria Sponge or a big fat chocolate cake so we’ve got no idea what’s involved in making these spectacular wedding cakes. Luckily for us Shelly has shared with us an insight into her world of cakes – thank you! What is the process you go through when designing a cake with a couple? We invite all our clients to our studio for a design and taste consultation. Prior to the consultation we encourage our clients to have a think about the style of cake they are looking at and bring along any ideas they have. At the consultation as they are browsing our images we can pick up subtle vibes at the direction they are heading in. We write up some ideas and if they chose to go ahead with us they are sent a detailed sketch. We are very flexible though and allow our clients to make changes to their designs anything up until 8 weeks prior to the wedding. How long before the wedding do you bake the cake? We bake all of our cakes fresh the week of the wedding. For a Saturday wedding, the cake is baked Wednesday, covered and iced on Thursday, ready for viewing on Friday. Photo courtesy of Esme Robinson Photography. What kinds of ingredients do you use for your cakes? We only use the best fresh ingredients. We don’t use any additives or preservatives in our cakes. Can you cater for dietary requirements if couples are looking for gluten free or vegan friendly cakes? We think that everybody should be able to enjoy a piece of cake on their wedding day so we are able to offer our couples – gluten free, egg free, dairy free, vegan, nut free. If it’s a situation where perhaps one or two of the guests have allergies we can also offer individual cupcakes for them to enjoy. 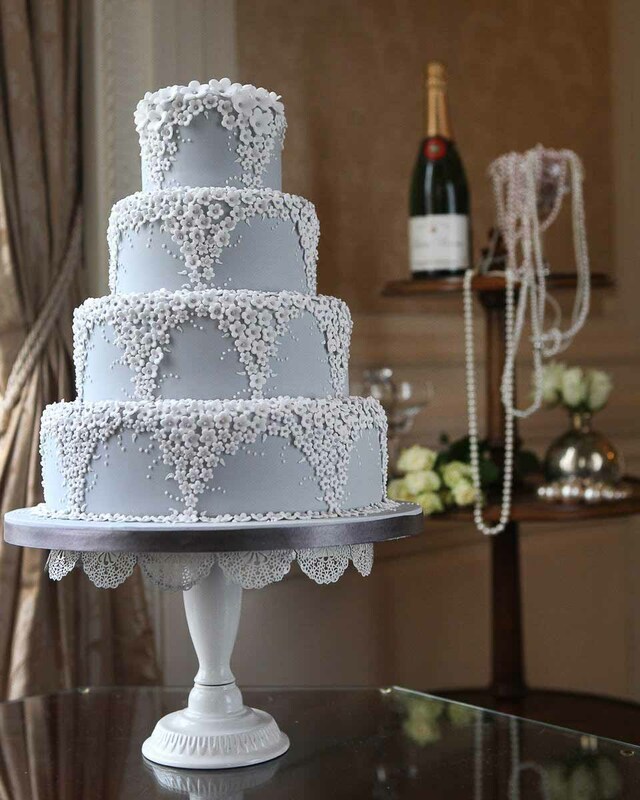 Do you deliver the cake to the venue or do the couples need to collect it prior to the big day? We deliver and set up all of our wedding cakes directly to the venue on the wedding day. 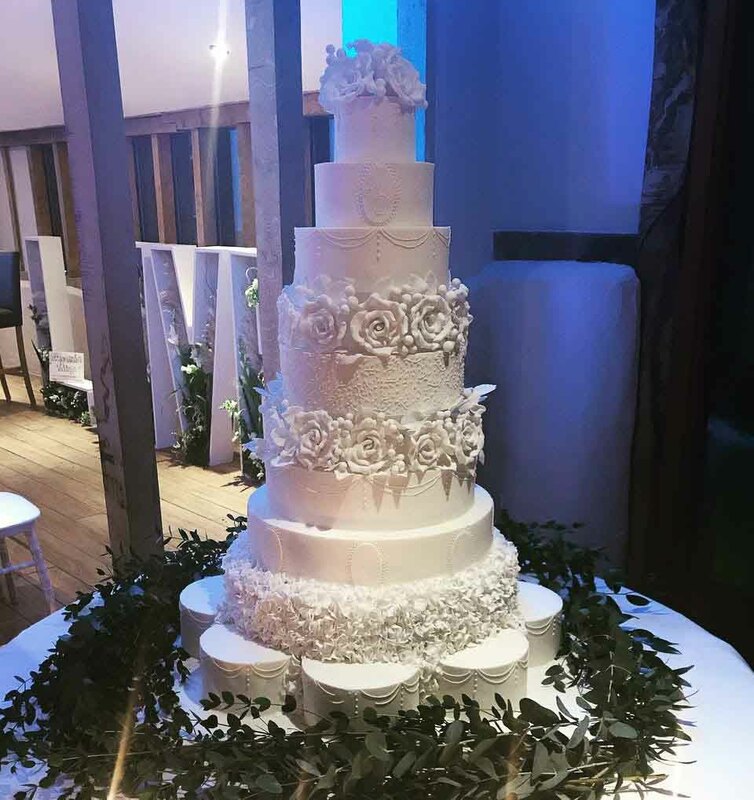 For us it is a fundamental part of the service that we offer – ensure that the couple has a stunning wedding cake waiting for them when they reach their reception. What’s been your favourite wedding cake to make so far? It is hard to choose an individual wedding cake as they are all special; however one does stand out for allowing me to push my boundaries and that would be the hanging chandelier cake. Next Post Without hearing wedding DJs play, how can you tell the good from the bad? | Advice from JN Sounds.